The West Village butcher is expanding from its namesake location to the Upper West Side. 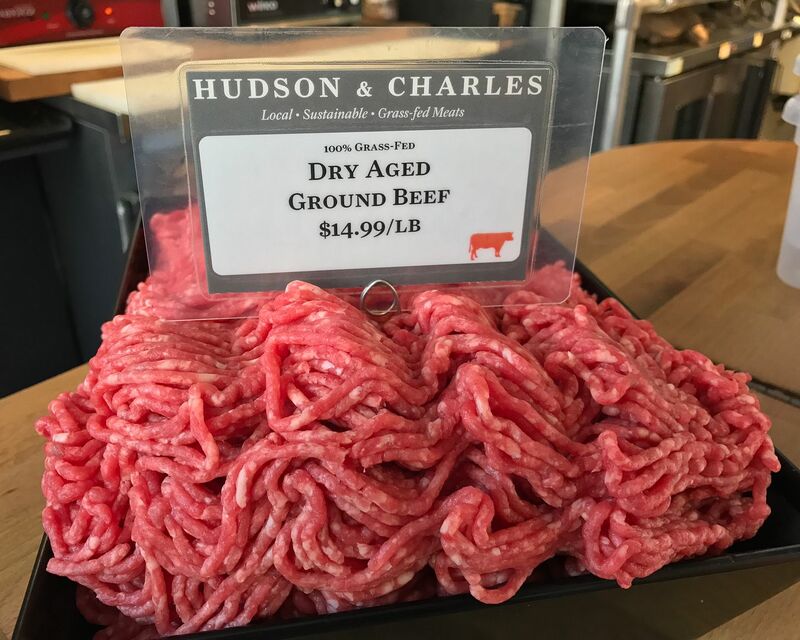 Hudson & Charles, prize-winning nose-to-tail West Village butchers, will plant a new seed on the Upper West Side to sell their local, sustainable grass-fed meats. J. 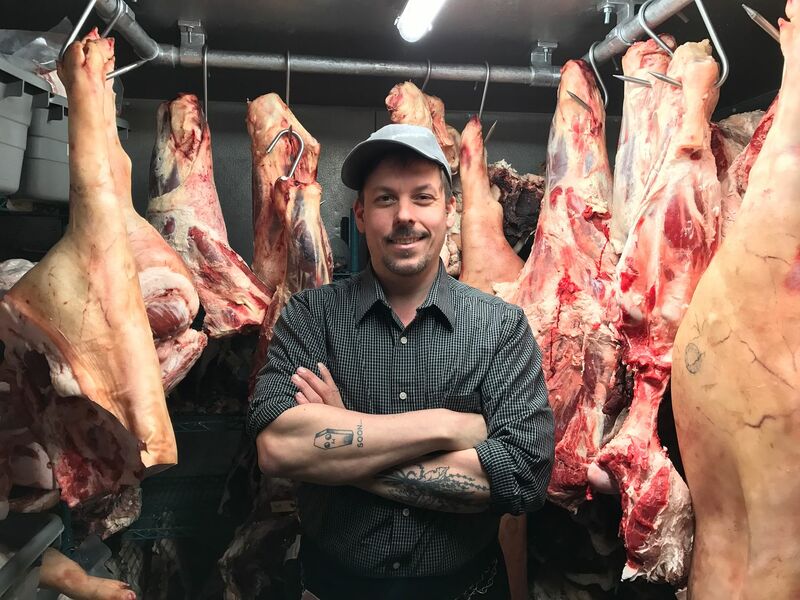 Fox and Kevin Haverty, the bearded proprietors of the tiny, celebrated neighborhood butchery, are counting on this being the age of upscale carnivores. The downtown team will be hanging their carcasses on Amsterdam at 87th Street, just nine blocks north of White Gold Butchers, the new meatery and eatery of April Bloomfield and Ken Friedman. After numerous delays, the new location promises to open in early April. "I'll try to smile for you. Butchers don't smile," says co-owner J. Fox. 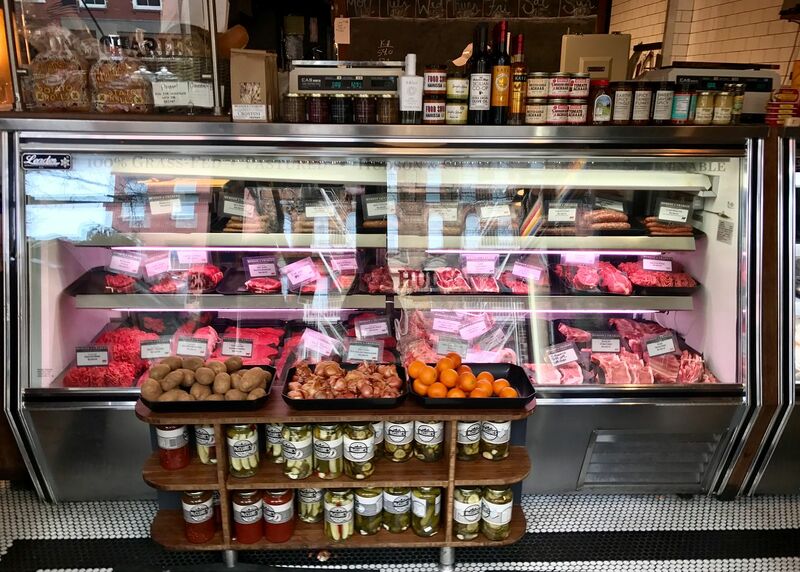 The Village Voice’s Best Butcher 2015 will be offering all the same organic, locally sourced, boutique animal products they’re known for in the new 650-to-700-square-foot location. But there won’t be any casual sitting down to eat and drink with trained table service here. You will get aristocratic fixings for your own table. Expect in-house dry-aged cuts of beef, grass-fed lamb, fussily-raised poultry and other birds, all sorts of sausages, cured meats and cheeses alongside a small selection of produce and packaged offerings by local brands. The mantra here is pasture-raised and organic. And the meats are 100% grass-finished. “How is that different from grass-fed?” I ask. Staff call themselves "walking recipe books" and welcome you to seek their advice. “Anything can be called grass-fed,” emphasizes Fox. “But our animals have never been fed anything but grass,” he continues, differentiating them from animals fed grass but grain-finished. He readily serves up an explanation of why that might matter -- something to do with the animals’ fat being converted to healthy omega-3s instead of sugar. Who could object? Regulars love Hudson & Charles' raw offerings. The ground beef makes for an easy, tasty meal. The partners are full of practical advice and recipes if you happen to buy the $29.99/lb. 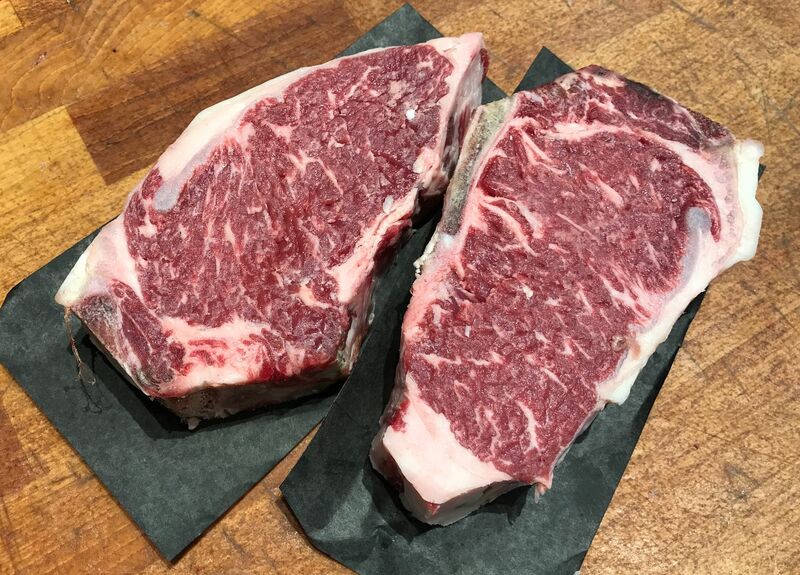 dry-aged bone-in New York strip or the $28.99/lb. dry-aged bone-in rib eye or some of that more esoteric offal. Ask anything, as many questions as you like to feel “comfortable,” he suggests. Customers who are curious are invited to inspect their suppliers, listed on the website, or even to call the farmers, themselves, if they wish. Popular, too, are the items found in the refrigerator cases: prestige eggs, duck fat, various broths, frozen prepared items, and a bin marked “Offal.” They’ll sell you bones, too, to brew your own broth or soup. 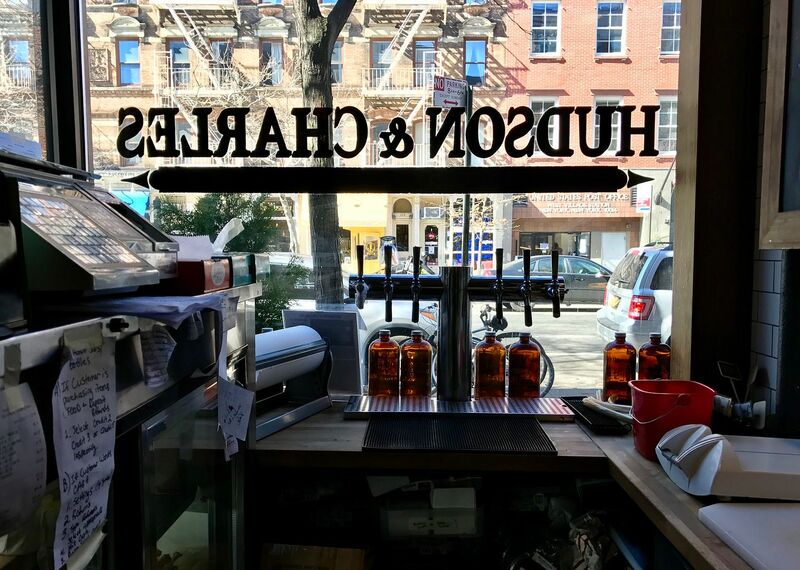 Hudson & Charles sells a variety of local offerings alongside cuts of boutique animal meat. The shop will also offer a weekly selection of sandwiches as well as roasted chicken, best reserved ahead. And they plan to deliver. $5-6 if you live in the neighborhood plus an additional per-mile fee if you live farther away. 555 Amsterdam Avenue, SE corner of 87th Street. Monday-Saturday 10 am to 7 pm and Sundays 10 am to 6 pm. Telephone TBD.